I’ve spent the better part of the past decade researching and writing a book. It’s called Dogs, Dog Food, and Dogma. It’s about America’s pet obesity epidemic. And it’s being released today. I had originally planned for this “release day” post to be about why I wrote the book. My personal motivations, the cast of characters that shaped my thinking, the ups and downs of the writing process, that kind of stuff. But this morning I changed my mind. Because in the final analysis, a book isn’t really about its author. It’s about its readers. Without readers, the stuff contained in a book doesn’t really mean much. An author may come up with some nifty ideas. And he may take the time to write them down. But without someone to read them, those ideas will just die on the vine. So I decided that I’d make today’s post about you instead. And, more specifically, about the reasons why I think you’ll enjoy the book. I don’t know all 10,000 of you personally. But I like to think I can make some generalizations about the things that you value and respect. And, with that in mind, I want to try and explain why I think you’ll be glad you spent a few bucks on my book. So, without further ado, here are the five primary reasons why I think you should give Dogs, Dog Food, and Dogma a shot. Much of the book is devoted to explaining a stunningly under-appreciated body of scientific research. It’s research that directly impacts what it means to be a good dog owner. Because it helps us understand how we should treat our best friends if we want them to be happy and healthy. Unfortunately, you’re not likely to read about this research anywhere else. 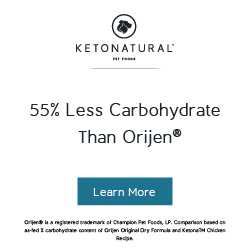 Because its implications for the pet food industry are profoundly negative. And because, as I explain in the book, the pet food industry is working very, very hard to keep the information under wraps. So let me put it this way: I personally guarantee that the book will make you a better parent and custodian for your best friend. If you read the book and you honestly don’t think it has helped you to become a better dog owner, I will refund every penny of your purchase price, no questions asked. Reason #2: Some of the biggest names in animal nutrition, animal behavior science, and human health and nutrition are behind the book. And that’s just the tip of the iceberg. I’m very grateful to have worked with such smart and capable folks. They really made the book all that it is. Reason #3: You’ll enjoy it. 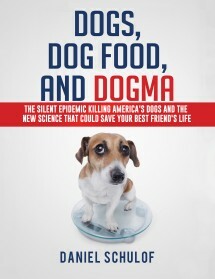 My aim while writing Dogs, Dog Food, and Dogma was to make it the best book ever written that in any way touches the topic of pet obesity. In this regard, being the best means being the most rigorous and authoritative. And, with a 60-page bibliography and more than 400 academic citations and other endnotes, the research basis for my book is (literally) second-to-none. But it’s not a textbook. To me, being the best book about pet obesity also means telling a fun and interesting tale to your readers. And I think I’ve done that. The book follows me across the country: up to Yellowstone National Park, where field biologists study grey wolves; to the finals of the DockDogs World Championships; inside smoke-belching dog food factories; and into classrooms where veterinarians are taught about nutrition (by pet food companies). Along the way, readers also get a revealing look at the relationship I share with own dog, Kody. And they get to see just how much heart (and how much heartbreak) our story features. If you enjoyed books like Inside of a Dog, The Other End of the Leash, or How Dogs Love Us, I think you’ll find Dogs, Dog Food, and Dogma to be right up your alley. Reason # 4: The reviews back me up. You can read some advanced reviews for the book here, here, and here. I’m humbled and gratified to report that they’ve been quite good so far. For the next week, you can get the book for 20% off the sticker price. Just visit this website and use the coupon code 8KZ2NZAQ at check-out. You’ll automatically get 20% off your paperback copy.